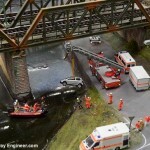 Looking for the best toy train set for your toddler? Want to get them the most enjoyable and educational trains? Or maybe you want to expand a Brio style train set to make it bigger and more fun and aren’t sure what pieces to get? All this and more tips to help your child get the most fun and enjoyment from toy trains are right here. There’s something about trains that children love. And it helps their development too! Helps develop logical thinking and problem-solving skills. But, above all wooden railways and train sets are fun, keeping them entertained for hours. 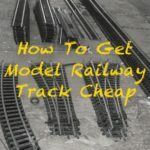 Here at Model Railway Engineer, I aim to help parents and their children get the most from wooden trains with ideas, inspiration and money saving tips for toy trains and Bigjigs, Brio, and Thomas the Tank Engine wooden railways in particular. Below are my most popular articles but if you have any questions, please drop me a line via the contact page and I’ll endeavour to help. Young children, between 2 and 5-years old, love trains and but there are so many choices as to what to get them… Brio, Bigjigs and more. It’s no wonder I get more questions about this than any other subject. 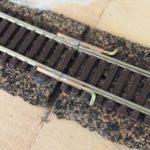 These guides have been written to help you find the safest, best value and most enjoyable toy train set and accessories for toddlers. What train set to start with? 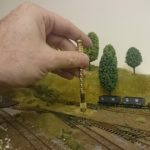 How to build a wooden railway? If you read any of the above articles, you’ll know I recommend saving money where possible and for wooden train sets there are some great savings to be had. 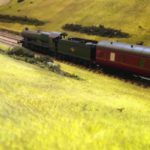 See the guides above for info but for the very latest deals and sale offers to the top-rated train sets and accessories the following will help. Click on ‘here’ at the end of each line for the deals. 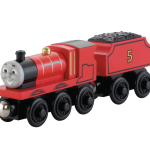 Wooden trains, locomotives and engines, latest offers here. 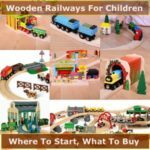 Wooden railway buildings, best sellers here. Wooden train sets, latest deals on Brio and other makes: here. Thanks, and remember to drop me a line if you have any questions.